Congratulations to eighth grade students, Adithi Wijesekera and Adam Florkiewicz, who were selected to receive this year’s Connecticut Association of Boards of Education (CABE) Award. This award is presented each year to young men and women attending schools within CABE’s membership who exhibit exemplary leadership qualities. Dr. Richard Dellinger, principal of Amity Middle School in Bethany, presented the award at a ceremony held at the Amity Board of Education meeting on Monday, May 14, 2018. The Gold Team teachers from Amity Middle School in Bethany selected Adithi Wijesekera for this award because she is a thoughtful student leader, an outstanding athlete, and a selfless volunteer. Adithi is an exceptional student. 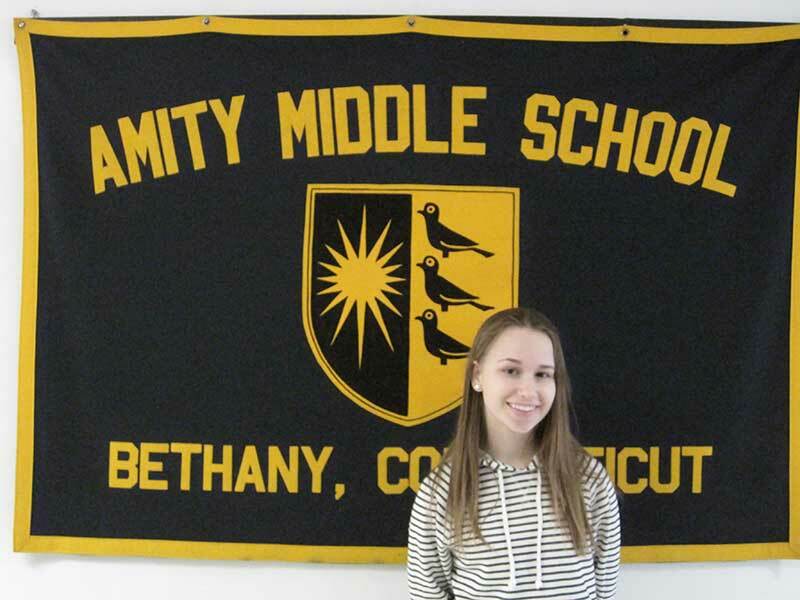 She consistently earns straight A’s in advanced and accelerated courses. She is persistent, thorough, and reflective. She is quick to help other students and staff and leads by her example of excellence. Outside of school Adithi is an outstanding athlete and youth volunteer. She is an accomplished tennis player and participates in the High Performance Clinic at Oak Lane Tennis Club in Orange. She plays for the Woodbridge Pool Club Tennis Team and has been to the Inter-Club Singles Championship three years in a row. She is involved in the Connecticut Tennis Open as a volunteer ball girl. Last summer she was interviewed by NPR for an on-air piece about this role. Adithi has also accompanied her father on medical mercy trips to the Dominican Republic during which 25-30 kids were surgically treated for scoliosis. Adithi provided valuable assistance in getting these kids through the screening process and even worked to allay their anxiety by distributing donated gifts to these children who come from impoverished families. Adithi is truly one of a kind. Team Black teachers from Amity Middle School in Bethany selected Adam Florkiewicz for the CABE Student Leadership Award. Adam demonstrates a keen willingness to take on challenges and commit to his academic work. He portrays a diligent work ethic and exceptional concern for the quality of his assignments. Adam participates well in class discussions and serves as a strong role model for his peers. He has a friendly disposition and offers assistance to his peers as needed, as evidenced by his role as a peer tutor. During class discussions Adam shows maturity of thought, while consistently demonstrating a humble demeanor. He maintains a positive attitude and treats his teachers and peers with the utmost respect. 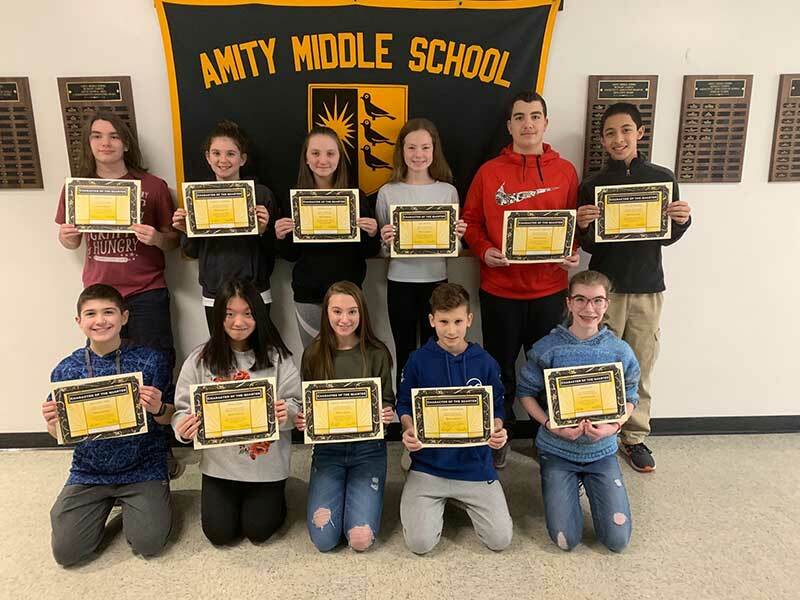 Adam is currently placed in all advanced level classes and has earned first honors and citizenship honors every marking period while at Amity Middle School in Bethany. Adam’s teachers are repeatedly impressed with the quality of work that he submits as his assignments regularly exceed their expectations. 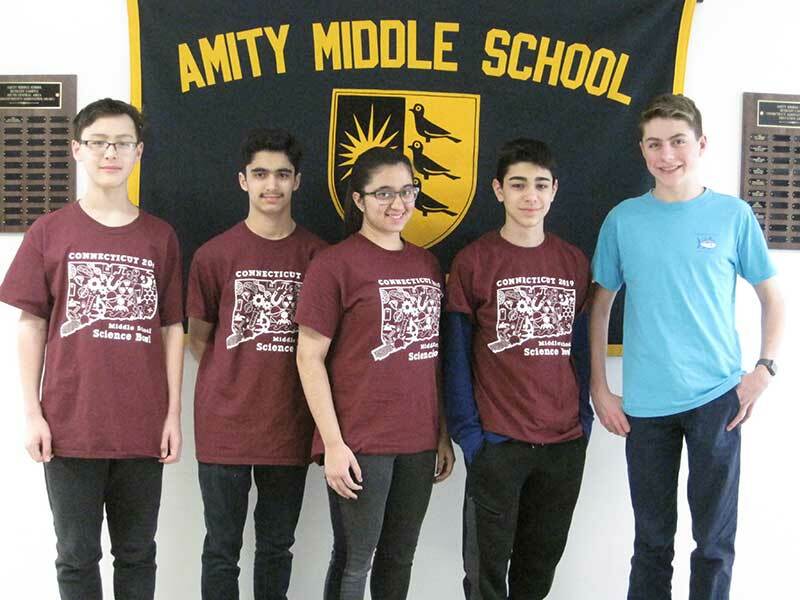 Adam is a member of the Math Club and was selected to participate in the Social Robotics class. His teachers consider Adam to be the ideal student leader.